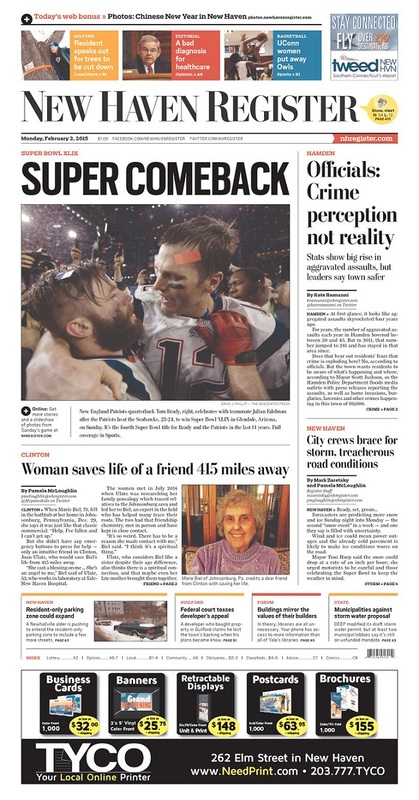 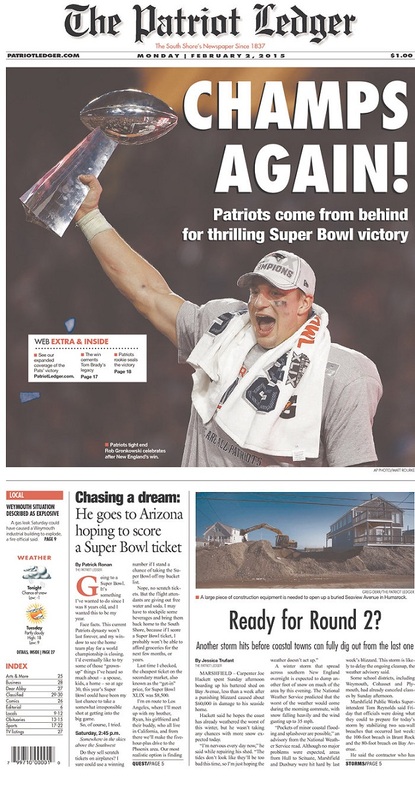 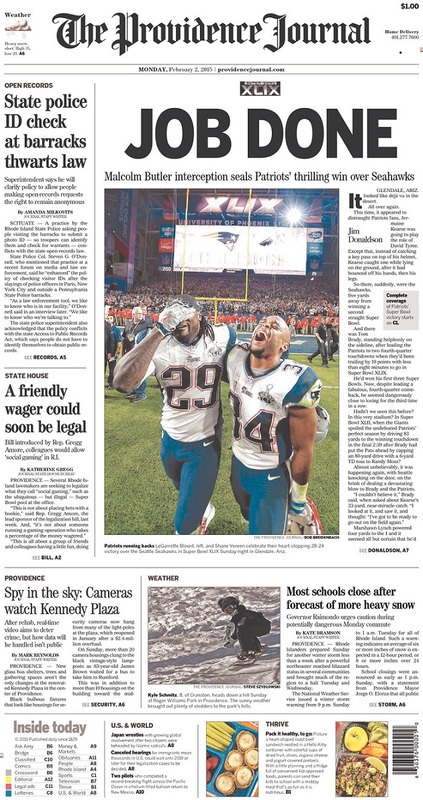 In the two weeks leading up to the Super Bowl, headline writers had plenty of fun at the Patriots' expense. 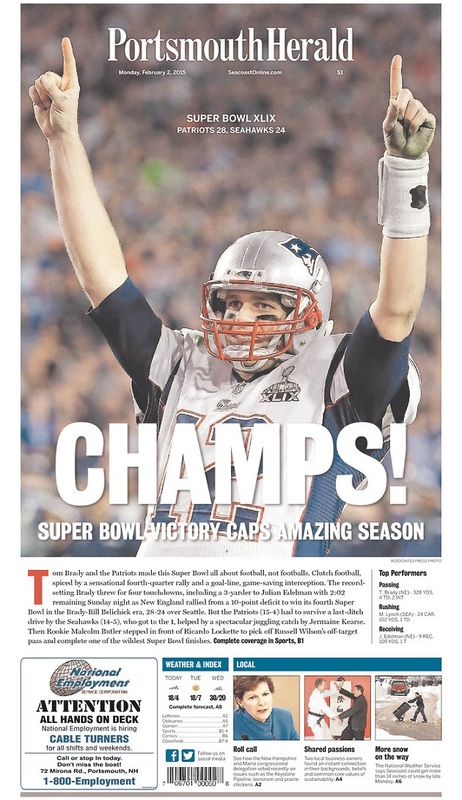 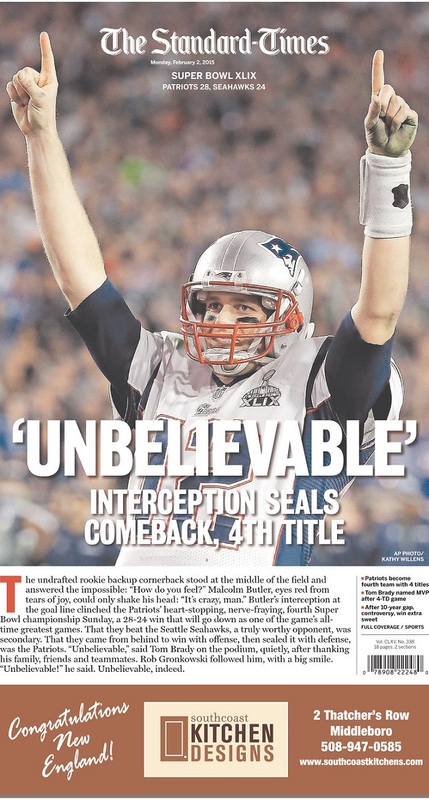 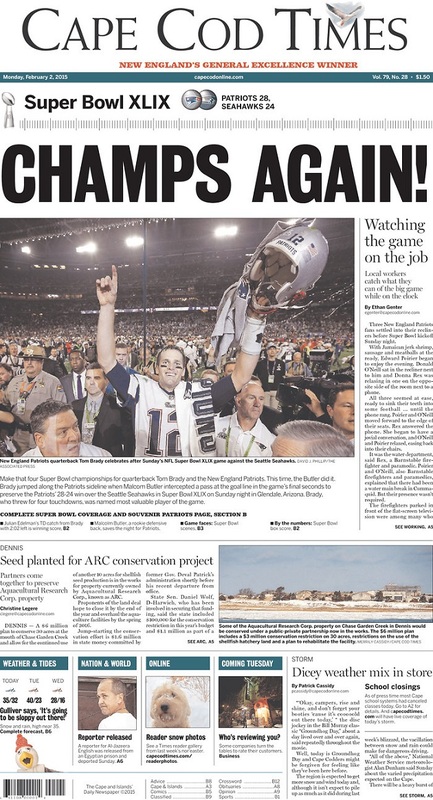 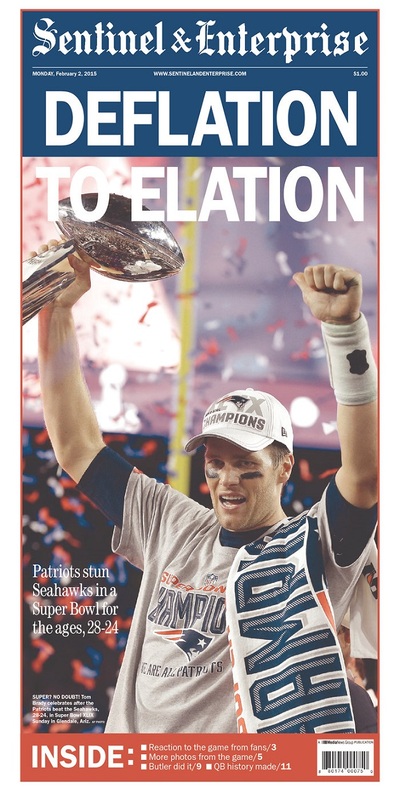 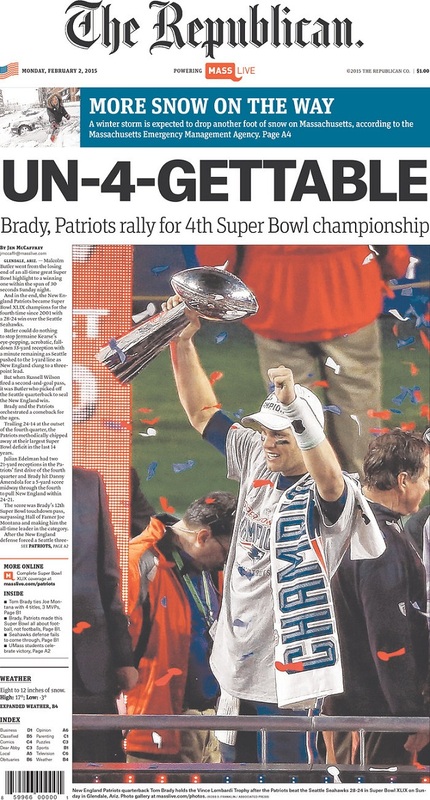 After New England's victory, newspapers got one more chance to take a shot at the champs. 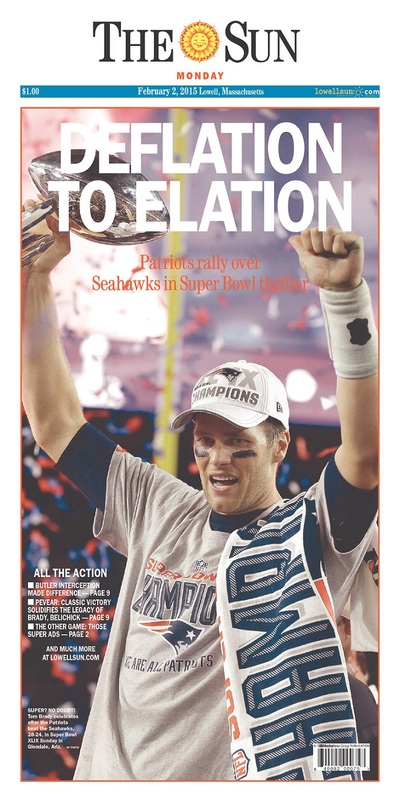 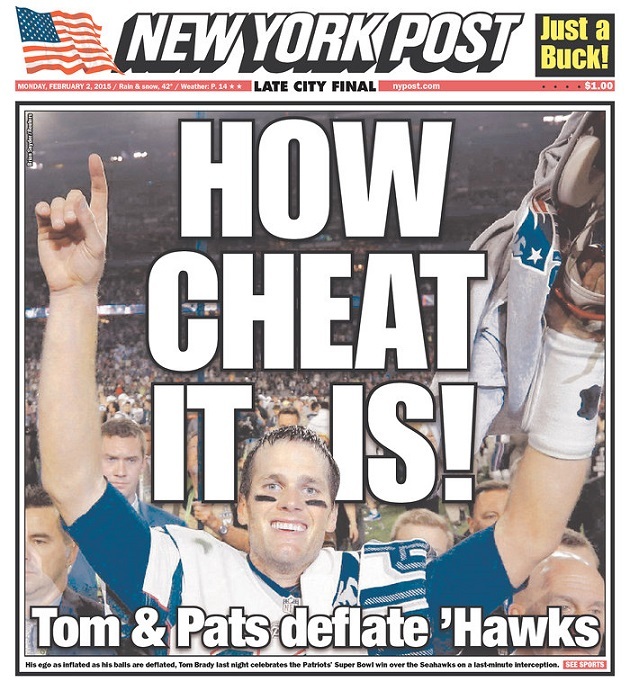 Some papers in New England went with deflation puns but most played it straight. 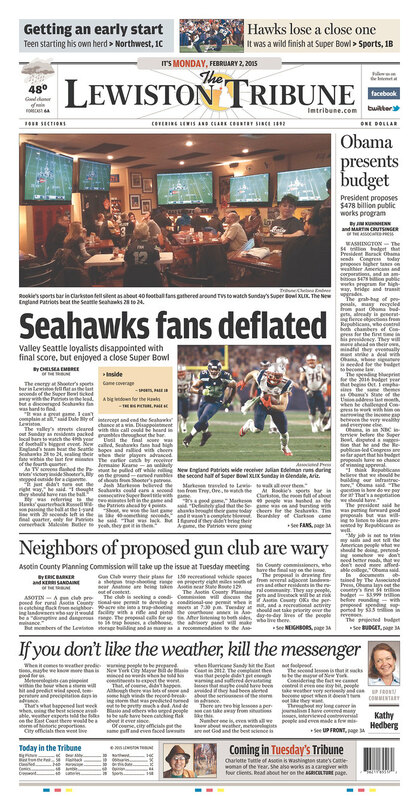 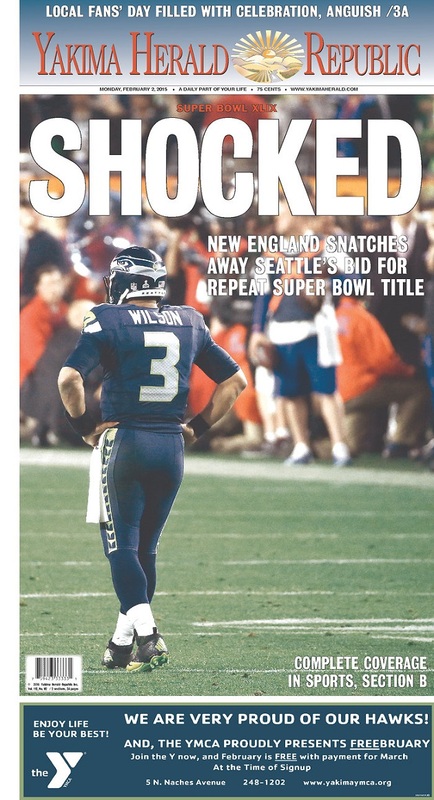 Headlines from the Pacific Northwest reflected the shock Seahawks fans felt after Russell Wilson's late interception.